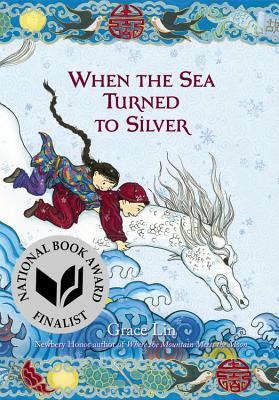 GraceLinBlog: I think this deserves the 90 second Newbery Oscar! 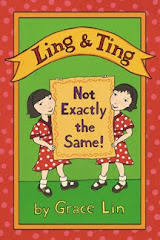 I think this deserves the 90 second Newbery Oscar! 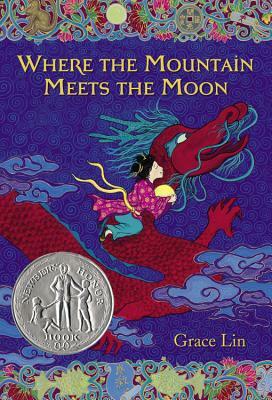 So, the 90-second Newbery Movies are trickling in...and this one is AMAZING!!!! Honestly, when I saw this I was speechless. I am completely wowed by the Bookie Woogie Bloggers' creation! Not only are the shadow puppets so beautifully done, the pacing, script and music is great, too. This is the perfect movie to show students before and after they read the book. Bookie Woogie: Where the Mountain Meets the Moon from Z-Dad on Vimeo. The Bookie Woogie Bloggers even created a separate blog chronicling how they made the movie. It's great fun to see the sketches, the storyboarding--and very helpful if you want to attempt a movie of your own. After reading it, I'm thinking about making my own 90-second Newbery with my niece. Anyway, take a look and let the Bookie Woogie creators know what a wonderful job they did! THANKS SO MUCH, Bookie Woogie Bloggers! !